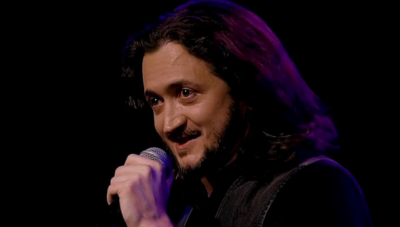 Taking on the biggest issues in politics was not on Lee Camp’s mind when he first got into comedy. The American comedian — now known for his incisive political commentary and humor — first started writing jokes when he was just 12 and began performing at 18, focusing first on “standard observational comedy” that was aimed more at lifting people’s spirits than opening people’s minds. However, as Camp continued to perform, he became more politically aware and wanted his comedy to cover the “darker issues.” He became a contributor to the well-known political satire site The Onion and even wrote political satire at the Huffington Post, where he worked as humor staff writer for a time. Camp’s entrance into political comedy also made it into American living rooms through several TV appearances, including his now-famous 2008 appearance on Fox News, where he called the right-leaning news network “a festival of ignorance” live on-air. Read the rest of this in-depth interview HERE, at MintPress News.